Samsung Electronics America, Inc., announced the Samsung Chromebook Plus (V2), a 2-in-1 convertible designed to help people get the most out of Chrome OS wherever life and work take them. 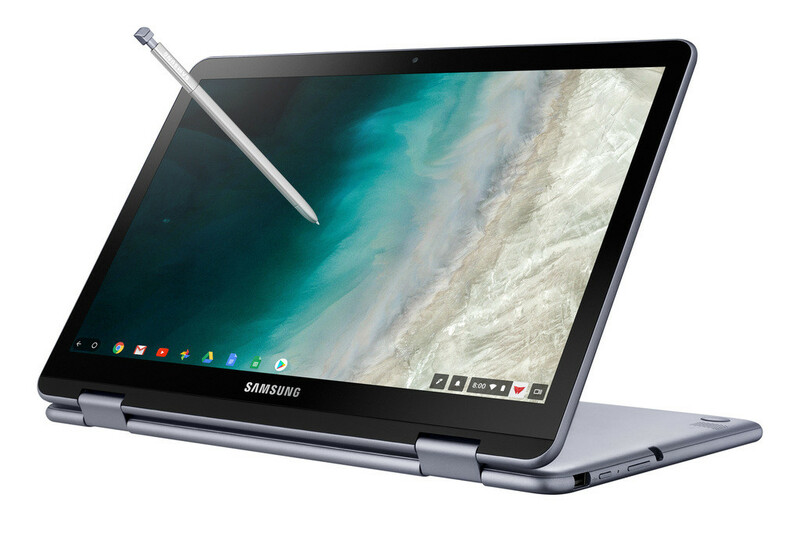 the Samsung Chromebook Plus (V2) is equipped with a built-in pen and offers a light, thin and stylish design that delivers versatility, portability and a premium experience at a competitive price point. As the number one leader in the premium Chromebook market according to NPD, Samsung’s growth continues to take place in the context of the shift to the cloud and the ability of Chrome OS to serve as a more complete operating system¹. 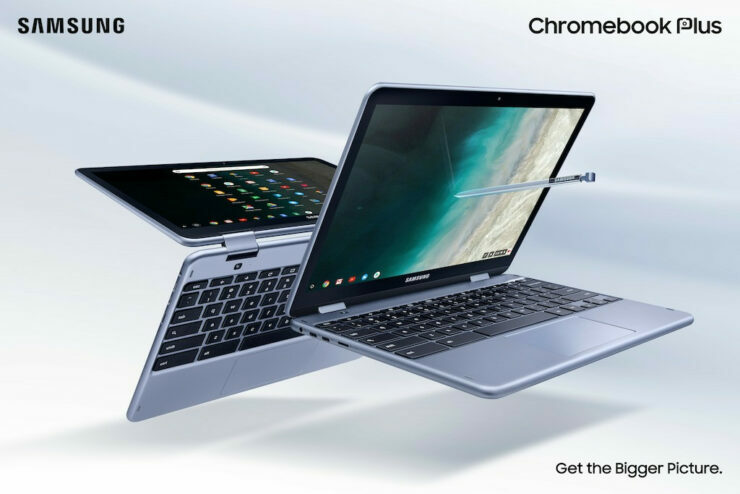 The Samsung Chromebook Plus (V2) positions Samsung to maintain its leadership in this space, packing in new functionality and delivering the premium experience many new Chromebook consumers are seeking – all while maintaining its competitive price point. Alanna Cotton, Senior Vice President and General Manager at Samsung Electronics America. The Samsung Chromebook Plus (V2) puts productivity and entertainment at consumers’ fingertips and at the tip of the built-in pen. At 2.91 pounds, its thin design makes it easy to slip into a bag and carry all day – or use throughout the day with its extended battery life. Flipping its 12.2″ FHD 1920×1080 resolution screen transforms it from notebook to tablet to sketchbook – and back – with two cameras for making it easier to stay connected with friends and sharing with the world. Plus, Chrome OS helps users get more done by providing access to millions of Android apps on Google Play. Front and Rear Facing Cameras to Stay Connected – Communicate visually with the 1M front-facing camera and a 13M F1.9 rear-facing camera with autofocus. Simply fold your laptop into tablet mode and capture your view from any angle. The front camera is ideal for video chats with classmates or clients, friends or family. Plus, store photos and videos right on your cloud. Unleashing Creativity – The Samsung Chromebook Plus (V2) stands out by coming with a built-in pen. Experience the power and precision of the stylus. It’s always with you when you need it, and it never needs charging. Write a note, sketch out an idea, edit a document, sign a document, or even use the pen to magnify small text and capture carefully cropped screenshots. Do More, Store More – Tackle anything that comes your way, wherever you are, with more power and more storage. The upgraded Intel Celeron processor and long-lasting battery keep you going all day. In addition to users’ personal cloud storage, the Samsung Chromebook Plus (V2) has 32GB of built-in storage, with the option to add up to 400GB with a microSD card (sold separately) – room for favorite photos, documents and music, as well as for storing movies to watch offline on the go. Premium Design, Premium Experience – designed for comfort and peace of mind, with a curved-cap keyboard built to withstand spills up to 60 cc. The device’s rounded edges offer users a comfortable grip whether it’s being used as a notebook or a tablet. The Samsung Chromebook Plus (V2) offers even more functionality to users with multiple connected devices, including easy file sharing between Chromebook and mobile devices. Smart Lock from Google makes it easy to store and use passwords across your devices. 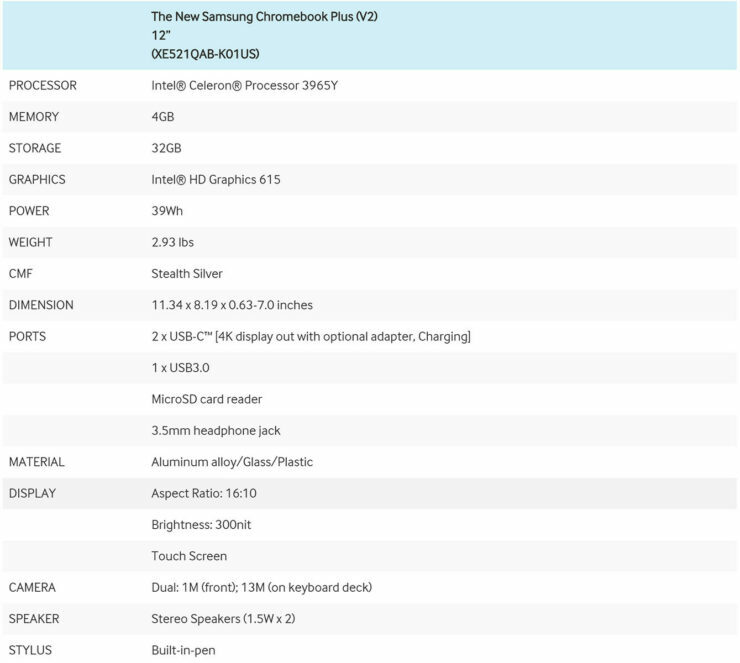 The Samsung Chromebook Plus (V2) will be available starting on June 24 at BestBuy.com and Best Buy stores, starting at $499.99.